A-HOTEL.com - Luksus og billig hoteller i Pont Hirwaun, Storbritannia. Overnatting booking i Pont Hirwaun og omkringliggende. Shamrock Cottage is set in Cenarth. Guests may enjoy free WiFi. Yet Farm Cottage is set in Cenarth and offers barbecue facilities and a garden. This property offers access to free WiFi. Llareggub is located in Cenarth. Guests can enjoy the free WiFi. The Bird House is set in Cenarth and offers barbecue facilities. This holiday home provides a garden. Lourie Lodge is located in Cenarth. Guests can enjoy the free WiFi. Located in Abercych, The Nags Head Inn has a garden with a children's playground, and boasts a restaurant and a bar on the bank of the Afon Cych River. The property provides guests with free WiFi access throughout and on-site private parking free of charge. Maes Yr Onnen is set in Abercych. Complimentary WiFi is provided. Y Felin Fach is situated in Abercych and offers a garden. Guests are welcome to enjoy the free WiFi. Sunfold is situated in Llechryd. 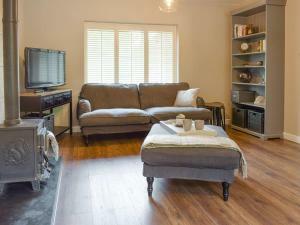 This holiday home features a garden, barbecue facilities and free WiFi. Felin Geri - Aeron is set in Newcastle Emlyn. It features free WiFi and a restaurant. Situated in Bettws-Evan, Blaensilltyn offers accommodation with a patio and free WiFi. Guests staying at this holiday home have access to a fully equipped kitchen. Set in Newcastle Emlyn, Felin Geri - Camnant provides accommodation with barbecue facilities, free WiFi, a shared lounge, and room service. This property offers access to a terrace. 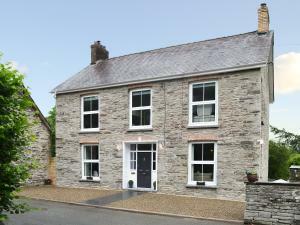 Set in Newcastle Emlyn, Felin Geri - Ceri offers accommodation with a patio and free WiFi. The property features mountain and river views. 2 Penrhiw is located in Abercych and offers a garden. The accommodation features free WiFi. Bryn Farm is located in Cenarth. Guests have access to free WiFi. Carreg Wen is situated in Llechryd. Guests staying at this apartment have access to a fully equipped kitchen. Featuring accommodation with a patio, Cwmdu Cottage is situated in Cwm-coy. Guests staying at this holiday home have access to a fully equipped kitchen. Featuring a garden, Flambards Hotel & Tearoom is located in Cardigan, 5 km from Cardigan Castle. This 4-star hotel features free WiFi and a bar. Over the Rainbow Wales offers accommodation in rural Blaenporth. The eco-friendly retreat offers Vegetarian and Vegan breakfast. Seven Stars Inn in Llechryd offers cosy accommodation and a full Welsh breakfast in this small village around 3 miles from the picturesque town of Cardigan. There is a large bar and restaurant, as well as private parking and free Wi-Fi.